Perhaps in a perfect world we would only ever need a single insertion point, but sometimes 1 insertion point isn’t enough. That my friend is where Dynamic Blocks and their ability to support multiple insertion points comes into play. My cardinal civil example is with drainage structures; sometimes I need to place a structure based on it’s front, others it’s the center of the structure itself. To get started I’ll just use my normal drainage structure block. This is just a block I created using the Create Block (BLOCK) command. Go to the Block Editor located on the Blocks & References ribbon palette (command: BEDIT). 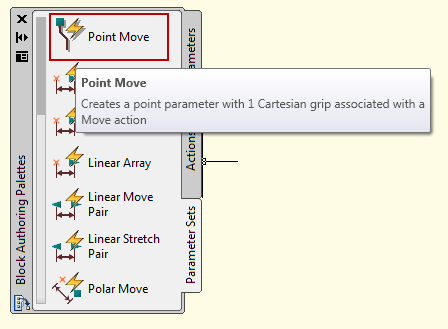 From the Block Authoring Palettes, go to the Parameter Sets tab and select the Point Move parameter set. 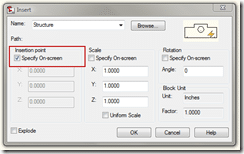 Upon clicking the Parameter Set you will be prompted to select a point, this is simply the location where you want your additional insertion point to be. 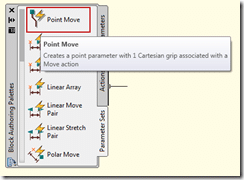 After specifying the location of your point itself, you will be prompted to place the label for the dynamic property. Notice the [!] just above the lightning bolt. This indicates we have not defined our action, which in this case is to move the block. To define this, double-click on the lightning bolt. After double-clicking the lightning bolt you will be prompted to select objects. Since we want to move the entire block, I will select everything in this example. You Assuming the [!] above the lightning bolt disappears, you have successfully defined an additional insertion point for your block, and can Close the Block Editor. Be sure to save changes when prompted. Using a block with multiple insertion points isn’t all that different from using a block with just 1 insertion point. 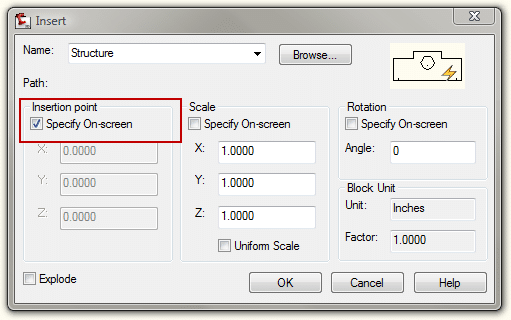 From the Insert dialog, be sure “Specify On-Screen” is checked under the “Insertion Point” heading. 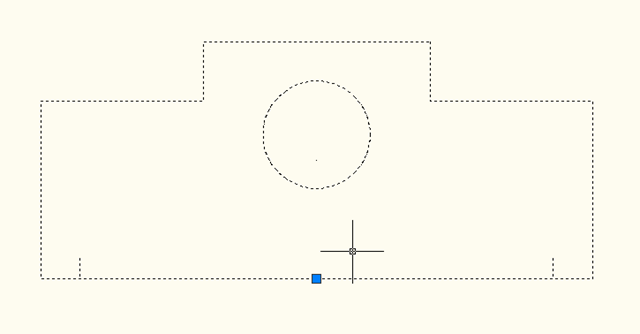 AutoCAD will default to the base point of your block (the normal insertion point). To cycle through your other insertion points, press Ctrl + Tab at the same time. This will lock you into your newly created insertion point.